Businesses leverage their online marketing efforts using digital channels, such as a website, social media, blog, email, search engines, directories, review sites (Google My Business, Yelp, Amazon reviews), videos, etc to connect with prospective and current customers. Internet marketing. Internet marketing is just what it sounds like - marketing that specifically uses the internet as a marketing channel. In today's vernacular, internet marketing usually refers to affiliate or click-through selling, such as selling on Amazon or eBay. Online marketing. Essentially, online marketing is any type of marketing that is conducted online. This is a very broad term that is often used interchangeably with digital marketing. Social media marketing. Social media marketing is specifically using social media networks, such as Facebook, Twitter, LinkedIn, YouTube, Instagram, Pinterest, Snapchat and many other social networks to distribute content and engage with online audiences. Includes engagement with online members. Content marketing. Content marketing includes conceptualizing, designing, writing, formatting and distributing relevant content that targets your audience. Content marketing often refers to blogging, email marketing and creating marketing assets like ebooks, infographics, lead magnets, whitepapers, case studies and research reports. It also can refer to various types of other media used for online marketing, like videos, podcasts, animated videos, etc. Email marketing. Email marketing is communicating with a list of subscribers on a regular basis in order to keep them informed of your offerings, promotions and events. Inbound marketing. Inbound marketing is where you develop a sales funnel that attracts, delights, converts and closes customers. Inbound marketing is great for driving traffic and generating leads. Social advertising. Social advertising is advertising on social media networking sites, such as Facebook ads or buying advertising on other social sites like LinkedIn, Twitter, YouTube, Instagram, Pinterest, and many more. There are many benefits to this type of advertising in terms of targeting to specific audiences and gaining insights into your audience. Native advertising. Native advertising is advertising on the same page as other, non-paid content. An example of this is advertising on Buzzfeed or those types of "news" aggregator sites. Online public relations (PR). Also called earned online marketing. Online PR is securing earned online coverage with digital publications, blogs and other content-based websites. It's much like traditional public relations, but in the online space. Websites and landing pages. Websites and landing pages are passive marketing tactics that are destinations for online visitors. They are usually a part of a sales funnel or buyers' journey. Digital marketing is an overarching term that describes digitally-based marketing tactics of any type, regardless of whether they are considered inbound or outbound marketing strategies. 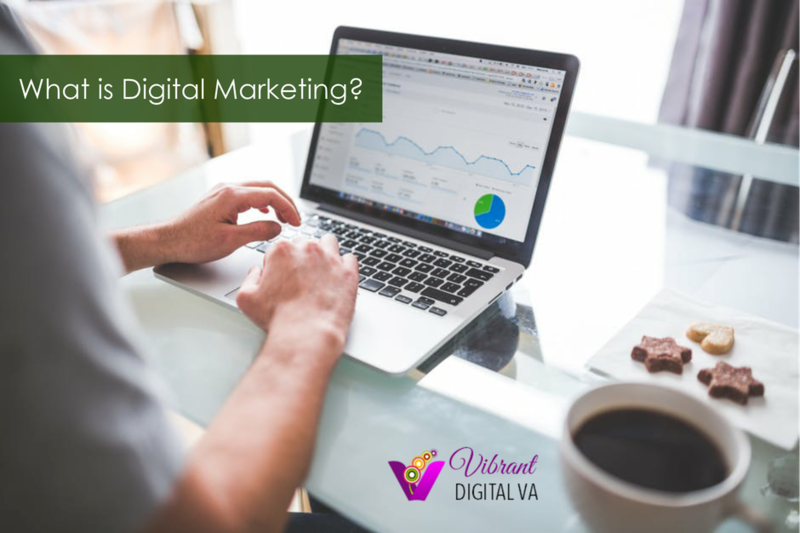 Did that answer your question about the definition of digital marketing? If not, what other questions do you still have?